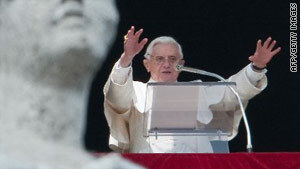 Pope Benedict XVI has expressed his dismay at allegations of abuse within the church. Bad Staffelstein, Germany (CNN) -- German Catholic bishops in the pope's home state of Bavaria expressed "deep shock and shame" Thursday at recent reports of abuse in their diocese. In a statement issued at the spring conference of the Archdiocese of Munich and Freising, the bishops announced new measures to win back trust and prevent similar abuse from happening in the future. The archdiocese is the same one that Pope Benedict XVI, as Cardinal Joseph Ratzinger, once headed. "Of the highest priority is the search for truth and the establishment of an open atmosphere that encourages the victim to express what was done to them," the bishops said in a statement. It comes after hundreds of alleged victims have come forward in Germany claiming priests abused them. Some allege the abuse was sexual, while others refer to physical violence such as slapping. The bishops pledged to work closely with both victims and law enforcement, and they also said they are open to financial compensation. "The bishops want to grant help to the individual victims beyond what is legally required of the perpetrators," the statement said. They pledged to follow up on every case and suspicion involving abuse. They also said they would ask the public prosecutor to recommend steps to take and to implement those steps immediately. "It is urgent for the bishops to do everything possible in their power to prevent abuse and violence," they said. Meanwhile, the head of the Irish Catholic Church, Cardinal Sean Brady, admitted Wednesday that the church's response to abuse in his country had been "hopelessly inadequate." The deeply Catholic country has been badly shaken by a government-backed report that found the Archdiocese of Dublin and other Catholic Church authorities in Ireland covered up child abuse by priests from 1975 to 2004. Child sexual abuse was widespread then, the report found. The pope said Wednesday that he has finished writing an official statement, or pastoral letter, about the child abuse scandal facing the Catholic Church in Ireland.